"Geez, I don't know. Walk away? We just saw it on the evening news. Maybe we should give them a call." It seems increasingly clear to me that, if you're going to have a "bubble economy" (which is apparently what we've got, though it's not at all clear what the next bubble is going to be), you really have to control the media. If you don't control the media, they'll just make things worse by amplifying the bubble as it is inflating and then making sure that, when the bubble bursts, it bursts good and hard. By simply reporting what's happening on the ground, which, actually, is what they're supposed to be doing. A good case in point came just a short time ago in a news segment on the ABC Evening News where they reported on the latest mortgage craze - youwalkaway.com. No, this is not a 2005-style mortgage craze where aspiring homeowners do nutty things to get into mortgages, this is the 2008 version where existing homeowners do nutty things to get out of mortgages. Well, not so nutty, actually, when you think about it - do the math. Why pay $3,500 a month for a home whose value declines by at least that much over those same 30 days when you could rent a place for less than half that amount? 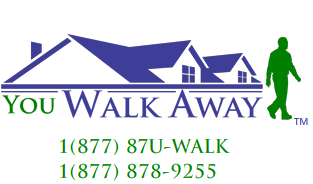 As reported elsewhere for about the last month or so, You Walk Away is an innovative new service that provides homeowners with a $1,000 information kit on how to walk away from a losing real estate bet. That's good 'ol American ingenuity and free enterprise for 'ya. How many people watched that news segment and then called friends or relatives who are behind on their mortgage to fill them in on a sensible alternative to those complicated aid programs sponsored by the government and run by mortgage lenders, both of whom probably just wish the clock could be turned back three years so every happy homeowner could once again be wealthy beyond their wildest dreams? If we're going to have one financial bubble after another, wouldn't it make sense to reduce the amplifying effect of the mainstream media so the bubbles can inflate slower, last longer, and not cause so much damage when they burst? As long as you bloggers keep giving me anywhere from 30 days to a year to frontrun the trends, the media can do whatever they want. Tim, I think you're on to something here. If, as Robert Shiller alluded to in the article on the previous post, people would get their real estate information only from the National Association of Realtors, the housing bubble would probably still be inflating today! In addition to controlling media I think we need to control nepotism, which IMHI, is the main reasons we have so many fools in charge of this train wreck! President Bush's decision to elevate three former administration economic advisers to the Federal Reserve Board prompted questions yesterday about whether they would be able to steer the economy independently of the White House they have served. "This is inevitably going to create the impression that the board is more political than in the past," Schlesinger said. "This creates more of a burden on Bernanke and company to prove they're not taking their cues from [White House Deputy Chief of Staff] Karl Rove." Warsh, 35, who has served on Bush's National Economic Council for the past four years, is a special assistant to the president for economic policy. Jane Lauder is joining the migration of the well-heeled from their traditional breeding ground east of Central Park to the treeless precincts of Lower Manhattan. She plans to occupy a newly purchased $12.63 million penthouse triplex with a terrace in a recently converted building in NoLIta. Ms. Lauder, 31, the daughter of Ronald Lauder and the granddaughter of the cosmetics pioneer Estée Lauder, is vice president for marketing for the Estée Lauder brands American Beauty and Flirt! She is married to Kevin M. Warsh, 35, who works in the White House as a special assistant to the president for economic policy. Mr. Warsh has his primary residence in Washington, according to the White House press office. The couple were married in April 2002 at Mr. Lauder's estate in Palm Beach, Fla. Two years earlier, Ms. Lauder gave an interview to Harper's Bazaar, in which she showed off her apartment on Park Avenue on the Upper East Side. That article highlighted Ms. Lauder's collections of snow globes and modern art and described an apartment full of works by Ellsworth Kelly, Jasper Johns, Warhol, Matisse, Lichtenstein and de Kooning and furniture designed by Frank Lloyd Wright and Alvar Aalto.